Pogo was surrendered to SAFE by his owners who were not able to keep him or successfully rehome him as a stallion. 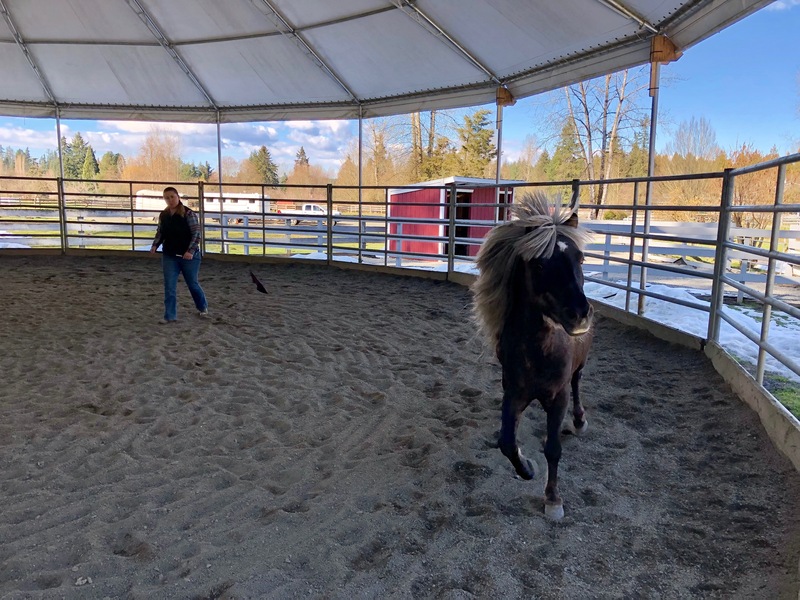 SAFE had originally arranged for Pogo to be gelded at home, but the vet was concerned that his owners didn’t have the skills or the space to provide him with necessary after care. So in the end, we felt we had no choice but to take him in. Pogo is cute as can be, but he’s very nippy and has already attempted to bite several people here at SAFE, so we are handling him with caution. 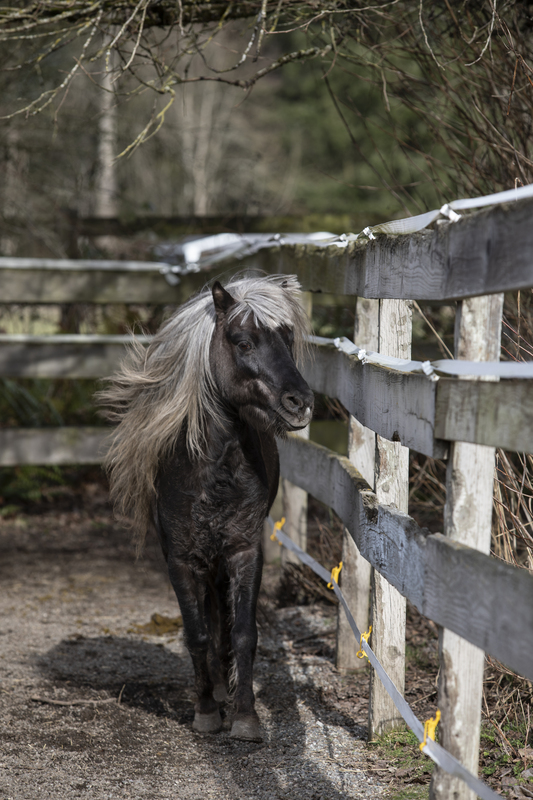 He’s a silver bay with a dark body and a long flowing flaxen mane. 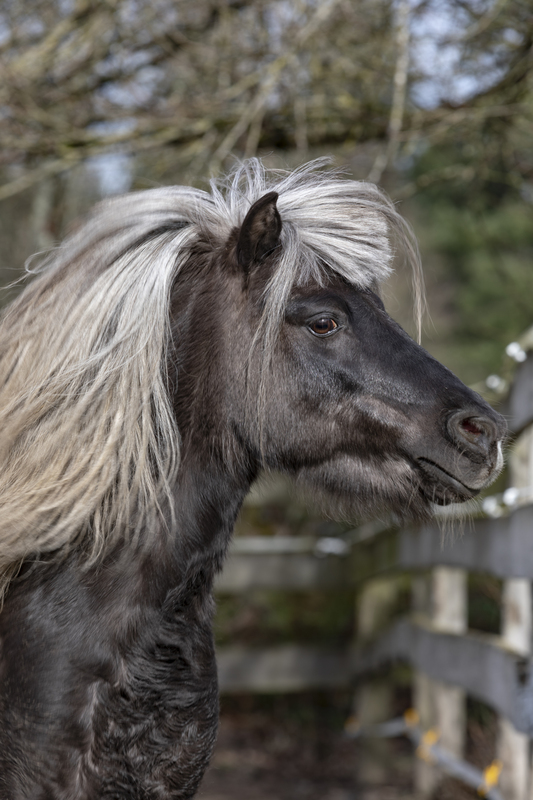 Sadly, his striking appearance has been downgraded a bit because someone gave him a terrible haircut: his thick forelock has been bluntly cut off just above his eyes, and it looks pretty silly. 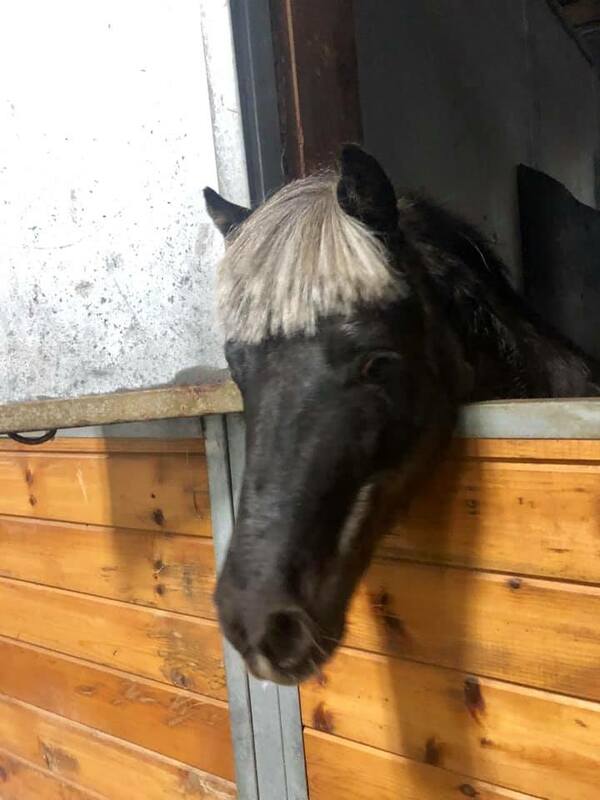 Pogo needs a hairdresser who can fix this bowl cut until it grows out! We’ll have more to report about Pogo in a few days after his gelding procedure. In the meantime, he’s in quarantine at SAFE for the next three weeks. It has now been a few weeks since Pogo’s castration. Before the procedure, the testosterone in his system gave him a very large personality in a tiny package. Sassy would have been a huge understatement, and he seemed to be in a constant state of angst. Thanks to his small size he was still relatively easy to handle, but his go‐to reaction to people was to lash out and bite. Fast forward to today, and Pogo is well on his way to becoming a new horse. Every day he becomes a little more pleasant to be around. We have started doing some groundwork with him, and we are diligently working on resolving the biting issue. He has been placed on Regumate, a synthetic hormone medication, to help improve his behavior during this transition period while the testosterone gets worked out of his system. Now that his sweeter side is starting to peek through, he’s really growing on us. He loves being brushed, and will stand still for hours to have his mane braided (once he’s had the chance to burn some energy off). Pogo still has a few weeks before we can expect him to act more like a gelding after coming off the Regumate. But each interaction with him gets a little more enjoyable–for the staff and Pogo both! 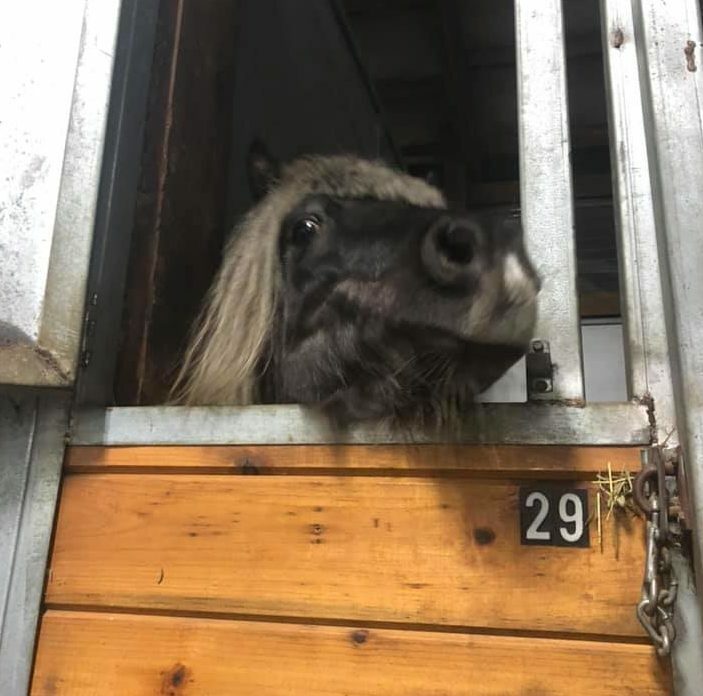 We have a new horse to introduce…a little horse…his name is Pogo and today he is a pony stallion, but that will change this Friday when Dr Fleck arrives to transform him into a happy gelding. Click here to sponsor Pogo!